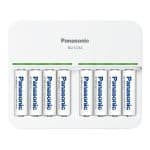 Eneloop 101 (The #1 Eneloop Guide) with best deals, tests and win free..
Eneloop batteries: Simply the best! Arguably the best rechargeable batteries currently on the market. You never heard of Eneloop? You will be blown away by the vast amount of data we provide on eneloop101.com. Check it out! 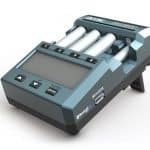 Go ahead and find all the information you are looking for, including product sheets, brochures, specifications and more, in the complete overview of all generations of rechargeable Eneloop batteries produced between 2005-2019. A Collection of Eneloop tests performed by different people. A list with sources in the USA, EU, UK and for the rest of the world. How to spot counterfeit Eneloops: a list of telltale characteristics. 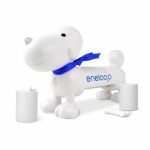 In 2009 Sanyo Eneloop released their first limited edition eneloops, called Eneloop tones. In 2010 Sanyo Eneloop celebrated their 5 year anniversary with a special edition Eneloop, called Eneloop Tones Glitter. 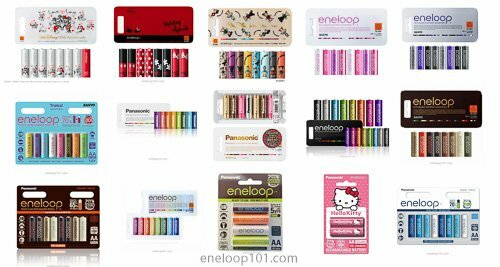 Since then they regularly update their special edition line-up with many kinds of wrappers, including Chocolate tones, Forest tones, with the latest addition being the Eneloop tones expedition. Check out the complete line-up of all 21 special edition eneloops. 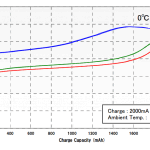 Do you know how to charge your Eneloop batteries? Both Sanyo and Panasonic have been making some interesting Eneloop chargers. The sad thing is that not all of their chargers are good. Some of them charge a pair of batteries for X amount of hours and then stop. These are sometimes called dumb chargers. They are time-based chargers. 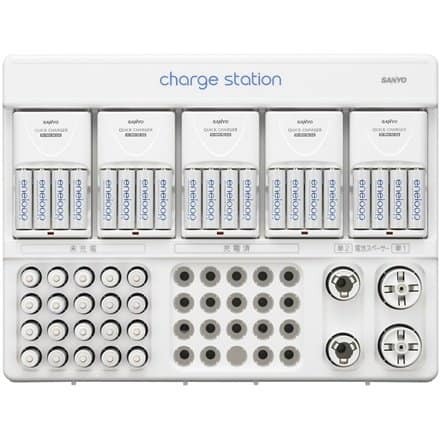 Continue reading about Charging your rechargeable batteries or jump to the overview with the most complete Sanyo and Panasonic eneloop battery charger list ever produced. Did you know that Sanyo introduced the `Eneloop Universe` in 2006? This expanded the concept of Eneloop. 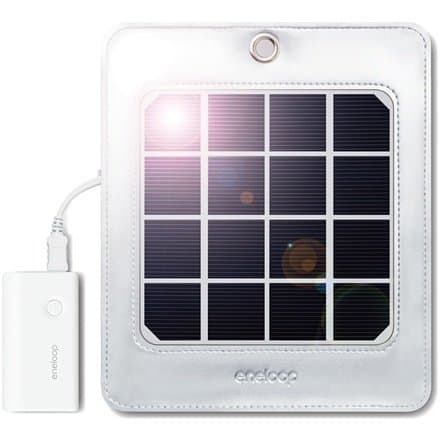 With their Eneloop Universe intuitive lineup of products they received the 2007 Good Design Award. This lineup of products included things like lamps, portable solar chargers, neck warmers, bicycles etc. With the official closing of the Sanyo trademark in Japan in March 2012, "Eneloop universe" stopped as well. Products like the mobile boosters have been improved and sold under the Panasonic brand while many others will never see daylight again. Check out all the Eneloop products (Eneloop Universe) ever produced. Panasonic Eneloop and Sanyo Eneloop Questions? Sanyo introduced the eneloop battery back in November 2005. In 2010 Panasonic acquired 50.2 percent stake in Sanyo, and eneloop are since that time labeled as Panasonic eneloop rather than Sanyo eneloop. Some people say that the quality has fallen, but that is fallacy. Many of these and other questions will be answered in the Eneloop FAQ on this website. By all means, please get in touch if you have any other unanswered questions.